Who doesn't want blemish free, smooth and flawless looking skin? Kryolan TV Paint Stick is one of the most famous face bases and has been using almost in every big and small salon across nationwide. It's particularly designed for heavy bridal coverage, but can be used for the lighter or heavy base coverage upon will. It's a German brand and quite famous among professional makeup artists worldwide and in Pakistan many big salons like Allenora, Madeehas, Newlook, Mariams, Sabs, Deplix and Uzmas are using Kryolan for bridal makeup. I have been using Kryolan TV paint stick from the last 10 years and it never disappointed me and after getting numerous email from my lovely followers I decided to share my experience with Kryolan Tv Paint Stick i recently purchased from makeup city. 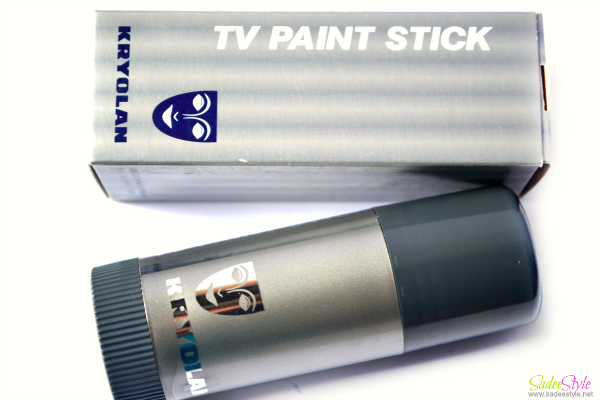 Kryolan Tv Paint Stick comes in a Twisted up Tube and successfully proven cream makeup in stick form. The special base of TV Paint Stick allows gentle makeup application that provides effective covering at the same time. The Kryolan assortment of more than 250 colour for selection is truly extraordinary which makes this preparation indispensable for stage, film, TV, video work and more. Kryolan had an official cosmetics of miss universe contest 2011 and Tv paint stick has used on all pageants for flawless application. Though I'm using it from the last 10 years and repurchased it many times, but my concealer routine however, change according to weather Since I have a very dry skin I prefer cream or liquid concealers in winter just to moisturise skin little better. It's available in numerous shades to match all skin tones. I was using ivory before, but it made my face look too pale later I tried W3 which went fine to my skintone, but I wanted a base with pinkish tone. My friend recommended me shade W4. It was good medium shade with pink hint, but I found it too dark and dull for my skin and finally I ended up with W2 which was the perfect colour for me. It's a best shade for my skintone so I would highly recommend you to visit the kryolan stand and test some shade before selecting right shade for you. 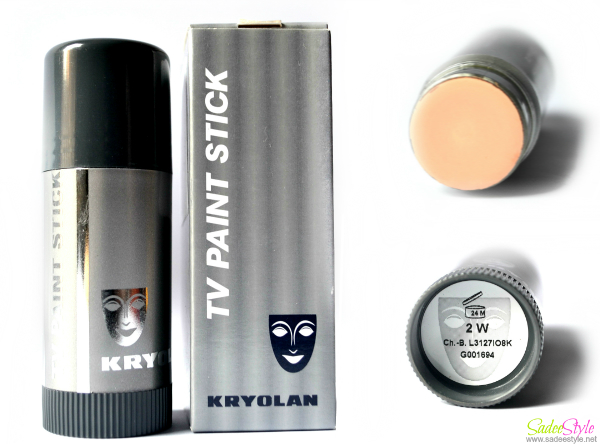 Well Kryolan Tv Paint Stick comes in stick form and can be used directly on skin or with sponge applicator. I usually apply it with wet sponge. 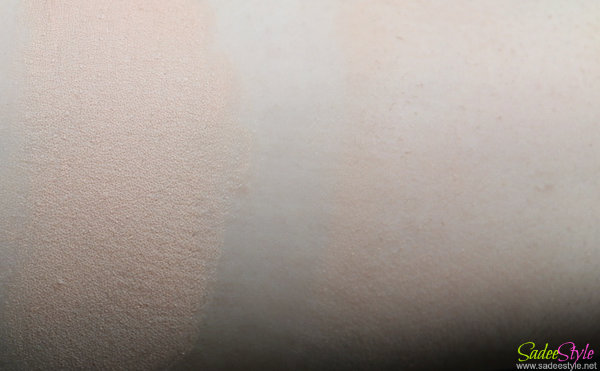 It's better to not apply directly with stick as its so thick in consistency and leave a patches on skin if you would try to apply it with stick also it would be so hard in blending. So always use it with wet sponge and it will blend like a butter and once it dries it will leave a great, fresh and dewy surface for makeup. I usually avoid Kryolan Tv stick in winters and If I feel like using it in winter i just apply a dove rich moisturizing cream before applying Paint stick and it gives smooth and dewy coverage. However, it's best and great to cover flaws, blemishes even acne scares. I saw many girls complaining it to give heavy or cakey coverage, but honestly it can be used lighter or heavier both coverage depend on how much amount you are using. In my opinion nothing can beat the kryolan TV paint stick it's a best face stick I have used so far. Available in 250 shades to choose from. Can be used as a concealer and foundation. Easily available in Local market. Cover all flaws, blemishes and acne scares. You maybe find it very thick or dry. You need to moisturize skin before applying it. A world's best foundation stick . Highly recommended! It cost me 1050 rupees and available on all cosmetic stores nationwide. its really good to hear that it does not feels cakey or heavy .. i am looking forward to try it .. I have always wanted to try this foundation stick, great review on it! Hope you're having a wonderful festive season hun! i wanted to know about how many hrs it stays? for how many hrs does it stay? Would this shade be a match for NW20 in mac? Is it good for daytime light makeup for oily skin?? Can we get it from any local cosmetic shop in karachi or online shopping sotore in pakistan and also got mine from Math's fashion store in gulf way shopping mall.